The Customer Service of I.T. - Excellent Cultures Inc. The Customer Service of I.T. The IT department of most companies gets a bad wrap. Being known for being filled with smarty pants computer nerds with zero people skills. Enter Curt Kwak, proving that that description is just a bad stereotype. As the Chief Information Officer for Proliance Surgeons, Curt oversees all technology implementation & maintenance necessary to meet the business requirements of the 80+ Care Centers within the Proliance Surgeons enterprise. The IT organization is responsible for all internal IT systems & functions that maintainin the Clinical EMRs, Corporate Systems as well as partner systems. The team also is responsible for the development of key data interfaces to assist in developing data & clinical analytic strategies to help enable strategic decision support. available. Our physicians provide care at over 60 conveniently located offices throughout King, Snohomish, Pierce, Skagit and Benton counties of Washington. Previously, Curt was the Chief Information Officer at the Washington Health Benefit Exchange (Wahealthplanfinder.org) and prior to that, at Providence Health & Services, WA region. Curt’s organization was responsible for all IT systems & components responsible for patient care, business delivery and strategic development. Curt earned his Executive M.B.A. and a Bachelor of Science degree in Mechanical Engineering from the University of Washington. He has also successfuly completed the CIO Certification program from the Haas Business school at U of California, Berkeley. Curt is a member of the HIMSS WA Chapter board, elected as the Secretary of the Board. 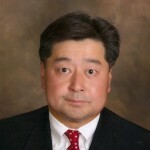 He is also a board member at PMWF and is a CHCIO (Certified Health CIO). Specialties: Contract negotiations, vendor management, leadership & organization structures & design.